No.PT3-GAD-SER2-TP-0001-2017-26432/SCS. 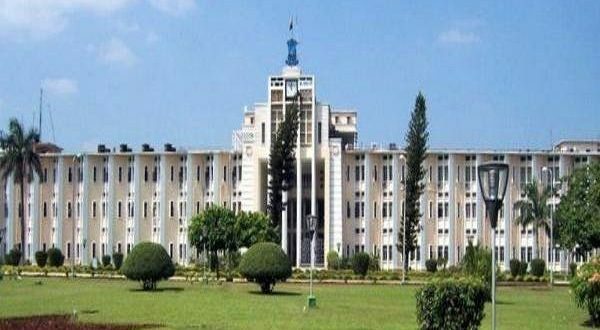 Shri Ashok Kumar Nayak, OAS (SS), Commissioner, Consolidation is allowed to remain in additional charge of Commissionerate of Departmental Enquiries, Odisha. No.26433/SCS. Shri Biswa Mohan Ray, OAS(SAG), Additional Secretary to Government, F&ARD Department is transferred and posted as MD, Odisha Small Industries Corporation, Cuttack. No.26434/SCS. Shri Pradeep Kumar Das, OAS(SAG), Administrator (NITI), Shree Jagannath Temple Administration, Puri is transferred and posted as Additional Secretary to Government, Water Resources Department. No.26435/SCS. Shri Rabindra Nath Mishra, OAS(SAG), COl, Odisha is transferred and posted as Vice Chairman, CDA, Cuttack on Foreign Service terms & conditions. No.26437/SCS. Shri Biswajit Biswal, OAS(SAG), Additional Secretary to Government, Agriculture & FE Department is transferred and posted as Administrator (NITI), Shree Jagannath Temple Administration. No.26438/SCS. Shri Bhumesh Chandra Behera, OAS(SAG), PO, DRDA, Sundargarh UoT as Additional Secretary to Government, P.R. & D.W. Department is allowed to continue as PO, DRDA, Sundargarh on Foreign Service terms & conditions. Posting of Shri Bhumesh Chandra Behera, OAS(SAG) as Additional Secretary to Government, P.R. & D.W. Department vide this Department Notification No.25576 dated 01.09.2018 is hereby cancelled. No.26439/SCS. Shri Bijay Kumar Rath, OAS(SAG), Additional Secretary to Government, P.R. & D.W. Department UoT as Commissioner, CMC, Cuttack is allowed to continue as Additional Secretary to Government, P.R. & D.W. Department. Posting of Shri Bijay Kumar Rath, OAS(SAG) as Commissioner, CMC, Cuttack vide this Department Notification No.25575 dated 01.09.2018 is hereby cancelled. No.26440/SCS. Shri Sukanta Tripathy, OAS(S), PO, DRDA, Rayagada UoT as PO, DRDA, Sundargarh is transferred and posted as PO, DRDA, Sambalpur on Foreign Service terms & conditions. Department Notification No.25578 dated 01.09.2018 is hereby cancelled. NO.26441/SCS. Shri Narayan Murmu, OAS(S), Ex-PA, ITDA, Nawarangpur is posted as ADM, Koraput. In exercise of powers conferred under Sub Section-2 of Section-20 of the Code of Criminal Procedure, 1973 (Act II of 1974), the State Government do hereby appoint Shri Narayan Murmu, OAS(S) as Additional District Magistrate, Koraput. NO.26443/SCS. Subhadarshini Swain, OAS(S), Dy. Director, Employment is transferred and posted as GM, Odisha State Beverage Corporation on Foreign Service terms & conditions. NO.26444/SCS. Dr. Pramod Prusty, OAS Gr.A (SB), Ex-Tahasildar, Ghatagaon is posted as Dy. Commissioner, BMC, Bhubaneswar on Foreign Service terms & conditions. NO.26445/SCS. Services of Shri Daridra Bhanjan M.M. Patra, OAS Gr.A (SB), Dy. Commissioner, BMC, Bhubaneswar is hereby placed with Water Resources Department for posting as LAO. Beverage Corporation is transferred and posted as Deputy Director, Employment. NO.26447/SCS. Shri Pabitra Behera, OAS Gr.A (SB), Ex-BOO, Koida UoT as PA, ITDA, Kuchinda is transferred and posted as A.O., Registrar of Cooperative Societies. He is allowed to remain in charge of MD, Bargarh, Sugar Mill. Department Notification NO.24642 dated 25.08.2018 is hereby cancelled.